Early 2015 is a tough time to be in the shredding business. Scrap prices continue their deep dive while the input side of the business tries to adjust to the change in value. It may be the sign of a fundamental reset in the value of scrap. Obsolete scrap volumes may lag for some time until the economics of disposal and transport become clear. If you are running a shredder on a limited schedule, can you safely defer routine maintenance? What do we mean by routine? They are the habitual tasks that are part of best practices. They are the small things you know are important, but are tempted to defer because of limited run time or available maintenance hours. And they are normal maintenance expenditures you might be tempted to put off until better markets return. Skipping what you know works isn’t ‘adapting’ to new realities but a mentality that will cause more costly problems down the road. Everyone just needs to take stock of their current production requirements and adjust upon facts, not guesses. The plain truth of the matter is the shredder has to be opened and looked at after every production shift. Inspecting the box is a matter of routine, not tons. Who has not had a problem in the first part of a production shift? There may be a piece of scrap jammed in such a way it will pop off end caps or bind the rotor during start up. 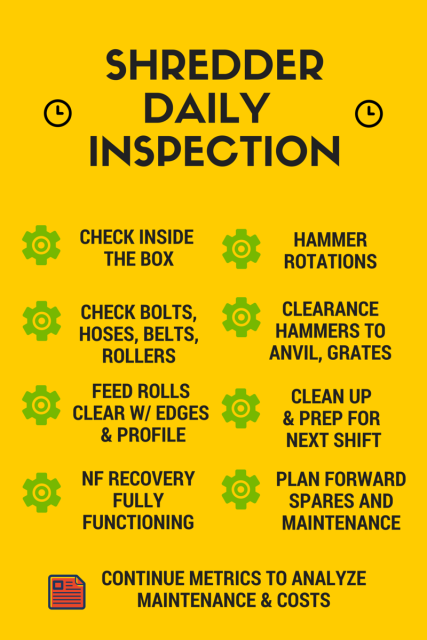 Inspecting after each production shift helps you plan for regular maintenance and reduces the chances of surprises. Everything needs to be checked, despite reduced manning and run hours. Grates have to be checked for proper distance from the hammers to be sure you are getting the best density and non ferrous recoveries from your processing. The anvil to hammer distance keeps cutting and sizing working to ensure efficient throughput in the mill. Many things are checked on each shift that influence how well the shredder performs and keeps production costs in line with expectations. Planning ahead on vital spares and replacement parts cannot be deferred too far into the future. If you shred, often you will need it sooner than you think. Rotors, motors, bearings can fail at the least opportune moment. Ordering ahead of time and using your labor hours in a pre-determined way helps keep overtime and costs level. In the business of shredding scrap, not everything works out as expected. Despite economizing on maintenance and repair, you know where you can defer and where you can’t. Go with the things you know work best. It will save you headaches and money in the long run. Shredding scrap is a tough business …wherever you are. Quality wear parts are a common need whether you are in a big city, small country, up over, or down under. That’s why international shipping is available from K2 Castings. 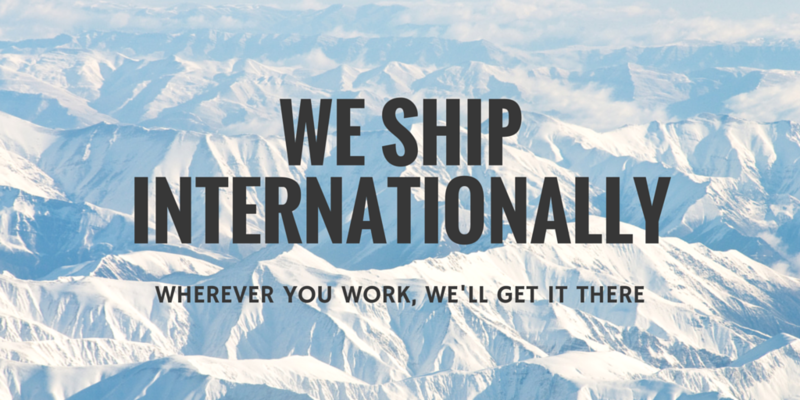 We handle door delivery in the USA, Canada, UK, Australia, and much of the EU. We also deliver to the major container port of your choice. We work to be part of your wear parts options. Most importantly, we work to be part of your shredding success. Contact us for a quote today. 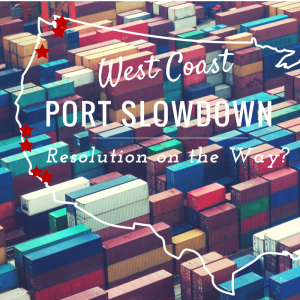 There has been some movement to resolve the labor issues involving the major West coast ports in the US. They have not reached an agreement, but are making progress on some of the key issues. This being said, however, even if an agreement is reached, it will be months before the backlogs of ships and containers get back to some type of normalcy. Key issues at the ports will remain a problem for some time. There are not enough trucks, drivers, and chassis to move the inbound containers to rail or their final destinations. Delays are expected to continue in to at the middle of 2015, possibly as far out as 2016. Labor slowdowns and anticipated labor actions have both slowed ship loading and unloading. Labor issues at some Chinese ports slowed several weeks of deliveries. At US ports, the promise of contentious labor talks had many ship early to avoid delays if talks bogged down. Contract talks continue. US Ports are facing longer times unloading the new class of ever larger vessels. The delays are congesting already packed dock schedules. The terminals need more physical space, a problem that cannot be resolved quickly. A change in the truck chassis system in the USA has increased delays. When carriers controlled container chassis, they provided one with each container pick up. Carriers decided not long ago they didn’t want to own truck chassis, and the new system has them everywhere but where they need to be: at the port. The result is long waits for a free chassis to pull containers from the yards, and a lack of driver hours to deal with the delays. The surge in volume and the port delays has intermodal terminals and trucking capacity out of sync, causing further congestion. The bottom line: Don’t get caught short on your wear parts. Be sure to re-order as soon as you use your stock. Do not delay purchases and give yourself more time for delivery. 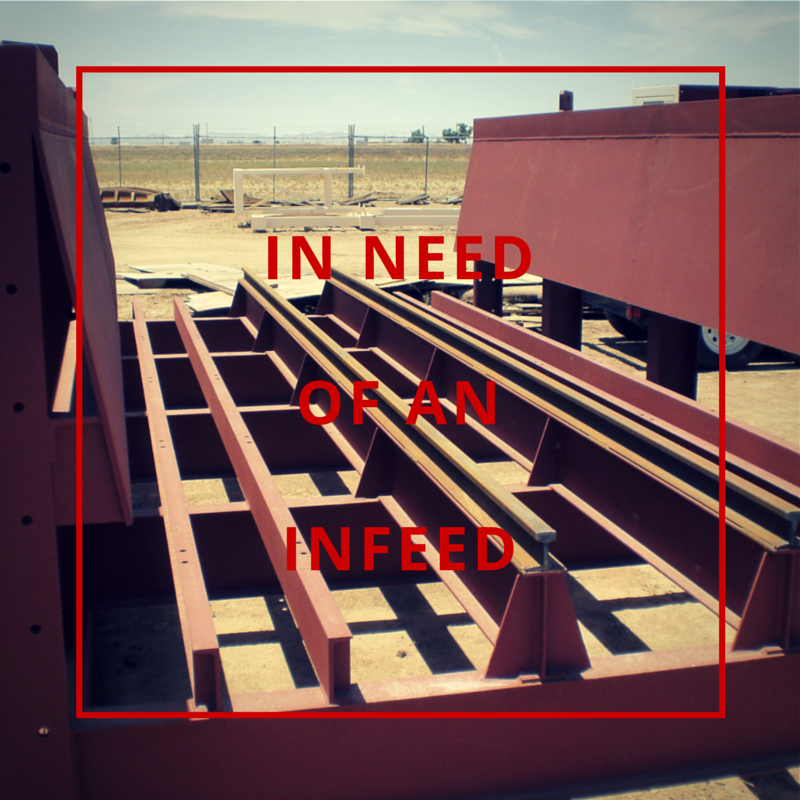 We’re in search of a used infeed conveyor for an 80 to 98 inch shredder. Complete unit welcome, but the frame and towers will do. If you know of a unit for sale in the continental United States, please contact us. We have a few buyers in need of an infeed. As always, we are interested in knowing about any used scrap metal shredding equipment you might have for sale. K2 Castings works to help our customers find what they need, linking buyers and sellers together. How Many Ships At Sea? 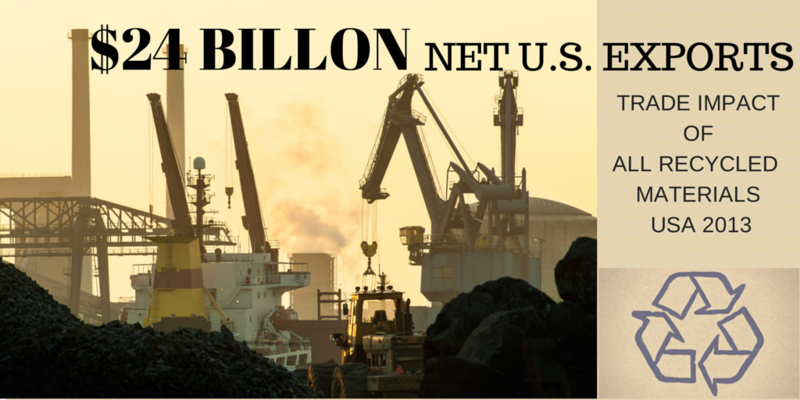 The United States is the leading exporter of scrap metals in the world. Barges leave the inland river system to get loaded in on ships at NOLA, tens of thousands of containers are loaded with recycled metals each day, and bulk ships of shred and HMS depart our ports. That’s a lot of cargo. How many ships are there at sea? 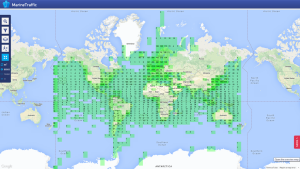 80,500 on the seas Jan 7, 2015. The number is for all types of commercial vessels, not just scrap carriers. That a lot of traffic. The information is provided by MarineTraffic.com. There has been a definite change in the types of scrap being shredded these days. We are seeing much lighter scrap as everyone who has a shredder has noticed and more non-metallics. The old days of 15 to 20% loss in white goods and 25 to 30% loss in autos are long gone. Baled sheet metal is more common as shredders reach further out for material. More powerful balers generate hard hitting bundles that test your hammers and keep the motor working hard. So which kind of hammers should you use? Manganese steel hammers basically have been around since the shredder was invented. Manganese is still the hammer of choice for the vast majority of shredders around the world. It is usually the lowest cost per processed ton performer and the most forgiving with baled and heavy scrap. If your product mix has a good percentage of heavier scrap to shred, you will be able to work harden the hammers for excellent wear. 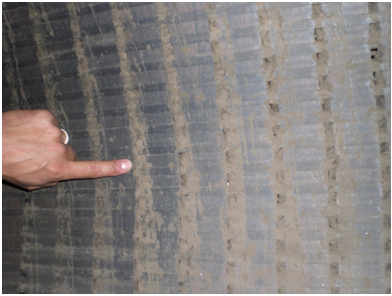 For best results, manganese hammers should have a minimum 1/2% Molybdenum (moly). Alloy steel hammers, both UHT and DHT types are up and coming products targeting the shredders with lighter gauge scrap to process. Be sure you compare the higher costs of the alloy hammers versus the increased tons of processed material. For instance, if you are getting an additional 50% increase in tons out per set, and you are paying almost double the cost, does it make sense for your operation? Even with the labor savings from delayed hammer changes, you may still save money with manganese. Forged hammers are the newest and most expensive type in the market today. 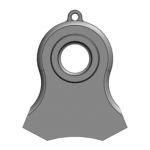 They are a hard hammer, so you will need to have special hammer pins as well. Otherwise you will wear your normal pins out much sooner. Monitor it closely to see if your cost to shred comes down as much as you anticipated. We are hearing double or more the wear life compared to manganese. Gather all costs, so you can compare the hammer cost per ton with pins included. While an improvement, it may not be as much a savings as anticipated. Only your numbers will lead to the right answer. 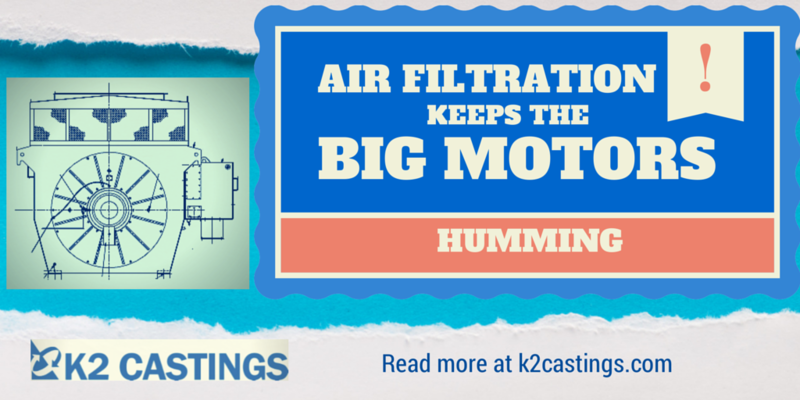 K2 Castings produces manganese and alloy hammers for all sizes of shredders. Our suggestion is to test them both and settle on the type which works better for your product mix. If you have any questions or need some help figuring out which is the most cost effective for you, let us know. We will be happy to help you out. What is the Impact of the Recycling Industry? Recycling may seem like a recent trend to many, but it’s been going on in the United States for over 200 years. Part of the industry lore is a story the Continental Congress had to also buy scrap to help supply materials for the purchase of muskets for the young nation. I wish we had that document around for verification. I’d like to see the names on it. Patriot Iron & Metal or Revere & Sons maybe? Today, all recycling industries play a vital role in our economy. The Institute of Scrap Recycling Industries (ISRI) put together some numbers for 2013. Here is a short video by ISRI introducing the industry impact in the USA. Keep your shredder drive motor breathing clean air. Change out the air filters! Whether running an electric motor or reciprocating engines in the heat of the North American summer, you need max air flow. If you have a closed water cooled system, make sure the heat exchanger externals are clean. Even if you have an outdoor air cooled motor, you likely have a filter within the motor enclosure. Check it monthly if not more. Motors outside of buildings are often subject to more dust and dirt than those housed in buildings. If your motor is housed in a building, keep it positive pressured to cut down on dirt and dust. Many motor rooms have a negative pressure, noticeable when you first open the door. Dirty intake filters and obstructed vents are the first place to look. If that doesn’t do it you need to study the situation and find out why your exhausting more air than your drawing in. Keep in mind the answer if often add more air in, but there is a practical balance for each installation. Your shredder’s motor protection relay is monitoring stator air temps and trying to keep the motor temp below the point the motor’s insulation suffers most. To cool the motor, that means it’s turning without load, limiting your ability to shred. A clean motor and clean filters will make for more effective cooling. The photo below is from a dirty air cooled motor. The build up in the stator is combustible fine shredder fluff and dirt. It’s plugging up the stator section, preventing air flow through the motor. The motor was in the shop due to a motor fire. You can guess the cause.? Filter media can be expensive and a chore to change weekly or monthly. But it is preferable to downtime and damage. How Many Shredders in the US & Canada? How many shredders are out there? It is important to know, but not easy to measure. It’s a full time job to keep an accurate census of mills engaged in scrap metal shredding. Three publications that cover the industry each publish bi-annual lists. They are a snapshot in time and each has a certain method to their data collection. Count them how you like, it is the best public info available. The publications compile the lists differently. Some count idled capacity, some are missed, and some have been removed. 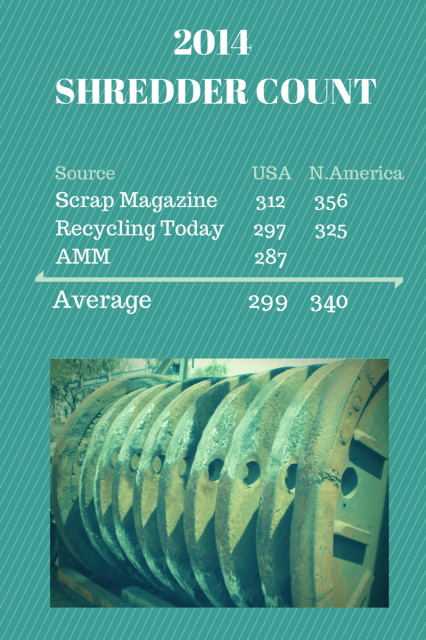 Scrap Magazine for 2014 lists 312 mills in the USA, 28 in Canada and 16 in Mexico. Recycling Today lists 297 shredders in the USA and 325 for all of North America, a drop of 14% from 2 years ago.